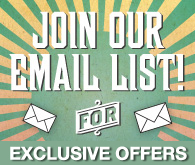 If you would like to receive our monthly newsletter, simply fill in your name and email address. If you would also like to receive Manitoba Open mailings, check the box below. confidential and not provided to third parties.